Nothing beats a classic dinner staple. 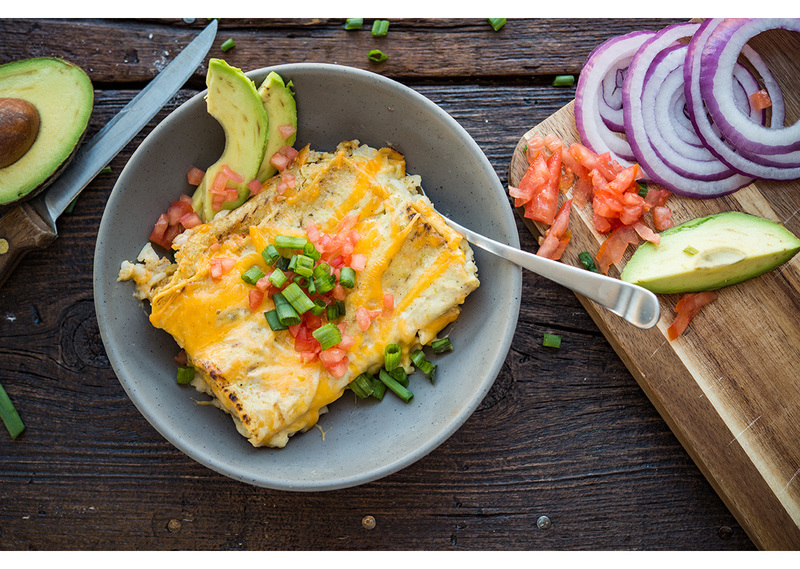 These Enchiladas are quick and easy to prepare; dinner for six in 30 minutes! In medium saucepan, melt butter over medium-high heat. Slowly whisk in flour and continue to cook for about 30 seconds. Whisk in chicken broth until smooth and bring mixture to boil. Turn down heat to medium and stir in sour cream, green chiles, onion powder, garlic powder and pepper until incorporated, but do not bring to boil. Remove from heat and set aside. In medium bowl, mix together cooked chicken, ½ cup cheese and chili powder. 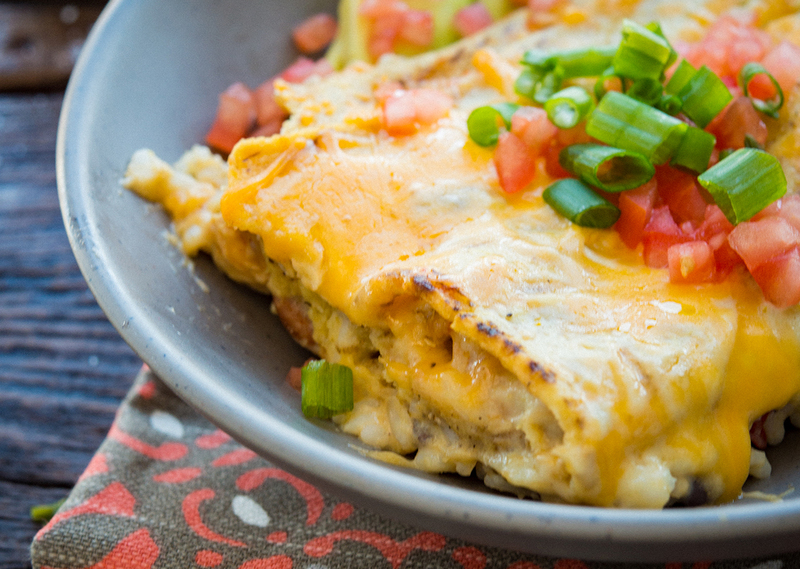 Divide chicken mixture among tortillas. Roll tortillas tightly and place into lower griddle plate. Pour sour cream sauce over tortillas and top with remaining ½ cup cheese. Cook on LOW Broil for 10 minutes until cheese is melted. Switch to HIGH Broil and broil for additional 2 to 3 minutes, until cheese is bubbly.